CaribSea’s CoralUp™ B joins the CoralUp™ product line. 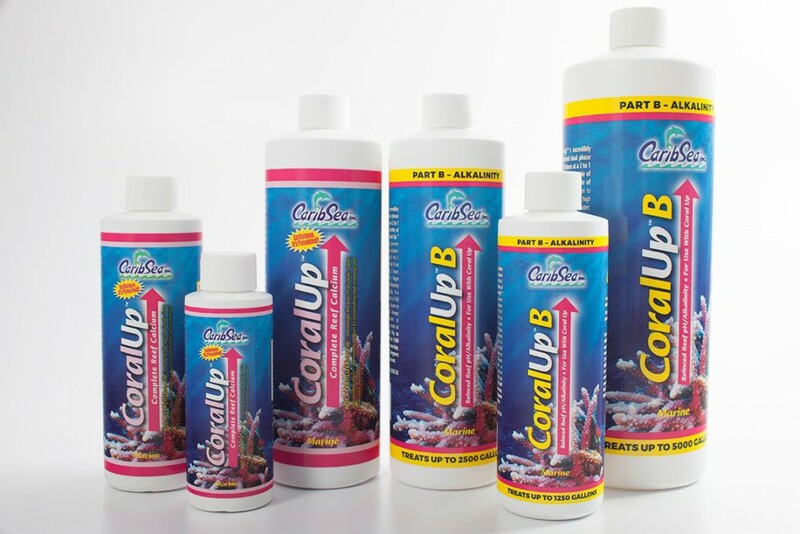 CaribSea is announcing the the arrival of “CORALUP B”, a new line of supplements to be used in a 2:1 ratio with CORALUP to provide the alkalinity and pH support necessary in a reef environment. Why 2:1? “Because the calcium is so concentrated we need 2x the alkalinity to balance,” say the product developers at CaribSea. Learn more about the CoralUp™ line of products at the CaribSea CoralUp™ product page on their website.